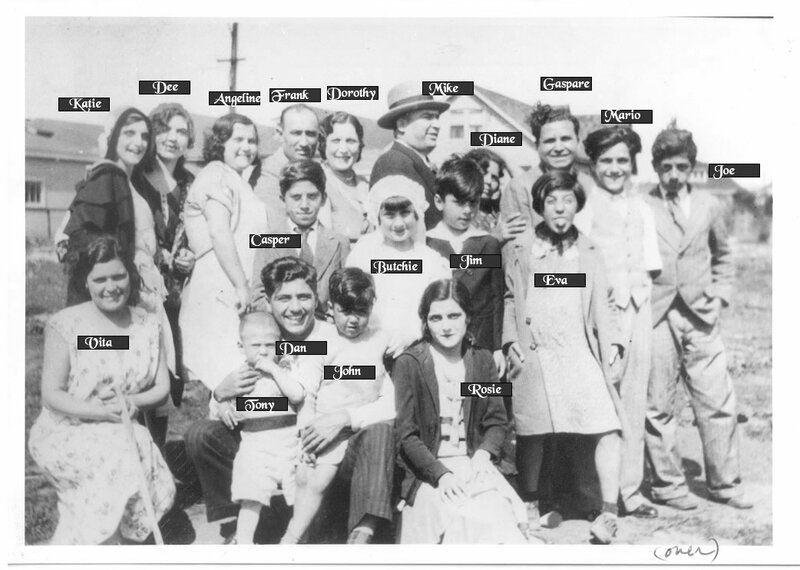 (Standing) Kate Engoglia Izzo, Diane (Dee) Alagna Sokolowski, Angeline Engoglia Tranchida, Frank Tranchida, Dorothy Engoglia Licare, Mike Licare, Frank Giardina (in the hat), Diane Clemente (my dad's mom, kinda hiding), Cousin Gaspare Alagna, Marie Engoglia, Jim Alagna (my dad's brother). 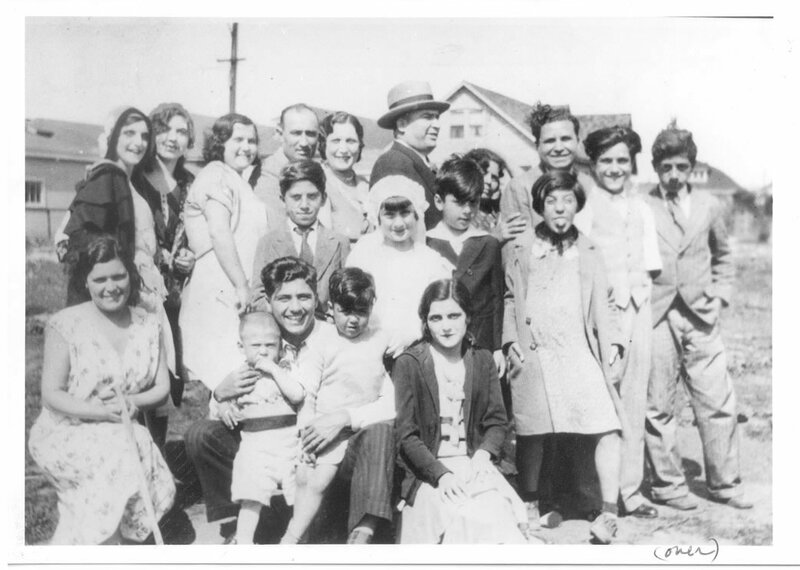 Then back to the left sitting, Vita Egoglia Giardina, Tony Alagna, Jr., Dan Alagna, John Giardina, Rose Minicino (that was Butchie making her communion), Rose Engoglia alagna, Eva Alagna (sticking her tongue out), and Casper (standing above Dan). I might be wrong on the order, but this all comes from the back of the picture that I got from my dad. Let me know if you see any major errors. I'll fix it. Just click here and write to me. I never really knew Butchie well, but she had the best smile even as an adult. Just cute.